Your brain is the controller of your body. It is made up of thousands of neurons that respond to an endless amount of external impulses. Its operation is so complex that even today there are more questions than answers about the extent of its power. There are many diseases that deteriorate your brain slowly. In contrast to the old days, when it was limited to affecting mostly elderly people, there are more and more cases of younger people now. So if you could help keep your brain healthy and lucid for longer, would you do it? 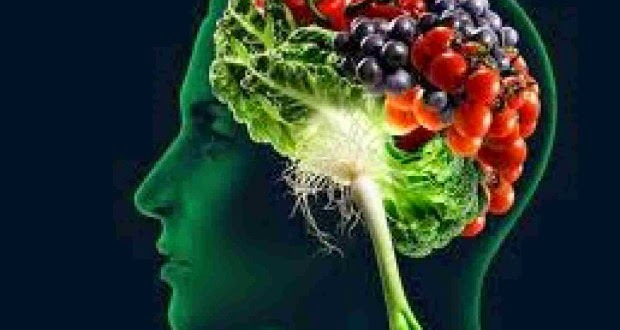 In order to help your brain keep its abilities for longer, we will recommend you a list of the best foods for the good health of your body’s controller. This super fruit is useful for nourishing your entire body. Its benefits help avoid or delay degenerative brain illnesses, like in the case of Alzheimer’s. It is also a potent antioxidant. They give you minerals and vitamins which include phosphorus, magnesium, potassium, complex B vitamins, and vitamin E. Nuts are allies in maintaining good cardiovascular health, which translates to a good supply of blood and oxygen to all of your organs and not to mention, of course, your brain. It has antioxidant properties that help prevent the aging and immature deterioration of your health. It also has Omega 3, which is great for protecting your brain from premature wearing down. Tomatoes contain a substance called lycopene, which, thanks to its antioxidant properties, has proved to be useful in the prevention of many diseases, like various types of cancer and strokes. Chia seeds promote neuron functioning and improve brain activity. It is considered to be the greatest source of Omega 3 that you can find in nature. It prevents tissue aging by keeping their functions intact for longer. It has powerful antioxidant effects for tissue protection and it prevents damage caused by free radicals that carry different diseases, like in the case of cancer. It also has healthy fats that help protect your heart, achieve optimal blood circulation, and is capable of nourishing all of your body’s cells so that they can function properly. Fish are a rich source of phosphorus. This mineral helps strengthen your brain and especially improves your memory. Eating fish frequently, especially blue catfish for its high content of Omega 3, will help protect your heart and also brain health. A huge antioxidant, it helps prevent heart and brain diseases. It also helps preserve your memory and prevent damage caused by the passage of time by keeping your cells protected. Eating cacao moderately, of course, can help your body be in good health because it contains antioxidants that prevent premature aging of your bod and its cells, which also prevents heart diseases. It is also rich in magnesium, a mineral that helps your nervous system’s nutrition. Broccoli has nutrients that have the ability to strengthen your memory and preserve your brain’s health. It also has properties that help protect your heart.